The 2019 USL Experience will feature many top talents from across North America, but the event will also feature a number of quality coaches as well to help further enrich the opportunity for the 69 players in attendance this April. 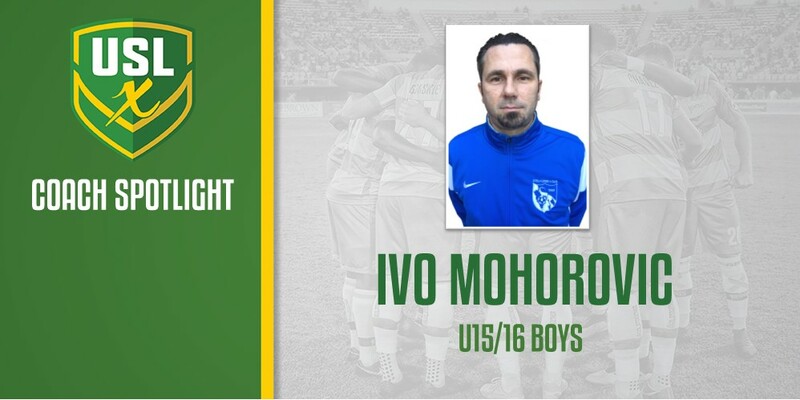 Ivo Mohorovic, a long-time coach in Super Y League, was named the U15/16 Boys coach ahead of this year’s USLX. The Istria SC Sporting Director has spent over 10 years coaching and working closely with Super Y, and he believes an experience like USLX is something that provides tremendous value to the young players attending. “These events are critical for young players,” Mohorovic told SYLSoccer.com. “They get to play with some of the best players in the country and train in a professional environment. They will get an idea of what it takes to play at the next level. The 2019 event, which will be held in Tampa in conjunction with USL Championship side Tampa Bay Rowdies, holds a special place in the heart of Mohorovic. Leo Fernandes, who is entering his third season with the Rowdies, grew up in New York after moving to the United States from Brazil as a child, and that’s when he met Mohorovic. The latter coaches Fernandes throughout his childhood, and saw him rise through the local ranks and eventually go on to play professionally in Major League Soccer and now USL Championship. Fernandes and the Rowdies will be in action against USL Championship defending title winners Louisville City during USLX weekend (April 11-14), when all the participants will have the opportunity to see the two professional teams in action at Al Lang Stadium.